If at all possible, stay tuned to local weather stations such as News 2, Channel 4, News Channel 5 and Fox 17 to watch for breaking news weather alerts. These stations almost always interrupt programming when severe weather is in the area. Our Twitter account is more up-to-date than our website here. While we do our best to keep our site current and up-to-date, Twitter is much more accurate. We can tweet and retweet very important information much faster than publishing it on this site. 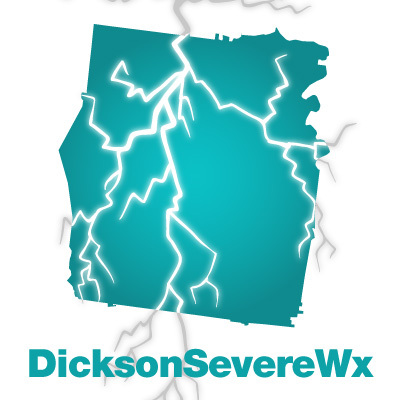 Follow us on Twitter at @DicksonSevereWx. This page is brand new. It may feel a bit incomplete while we update and add to this page before, during, and after severe weather events.